Some absolutely fantastic information from England Rugby on concussion. 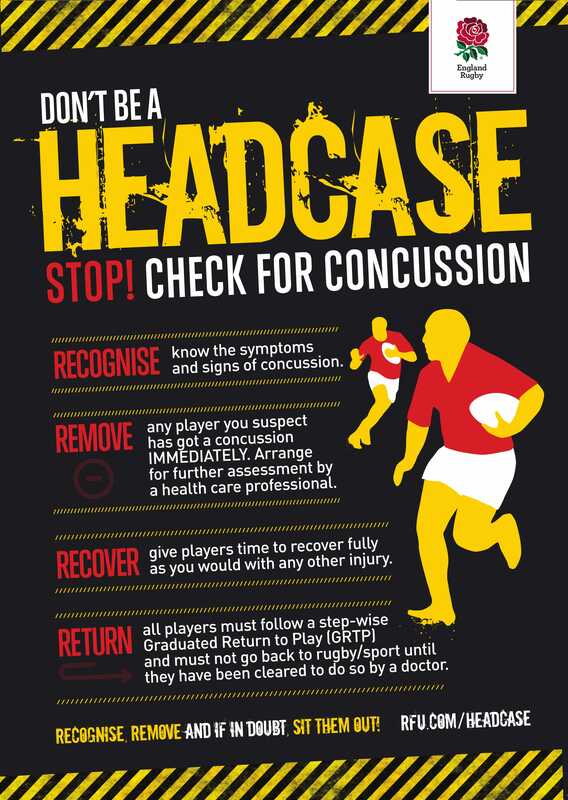 We’ve got an Overview & Assessing Guide here, but for more info PLEASE visit England Rugby HeadCare Campaign. All Credit to England Rugby. What is concussion? Is it serious? Concussion is a disturbance of the normal working of the brain but without there being any structural damage. Most people who sustain a concussion do not require any treatment as they normally get better by themselves and recover quickly, but for some the symptoms may last for days, weeks or in rare cases even longer. 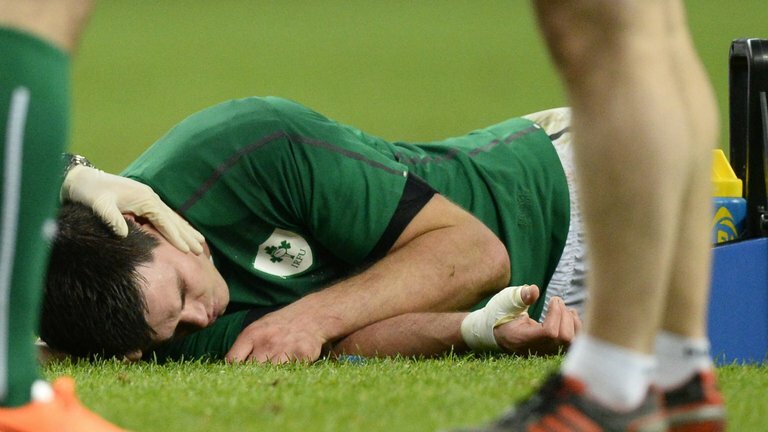 Is concussion different in young players? In young players we do need to be more cautious. Because the child or adolescent brain is still developing, there is particular concern that concussion can have more of an impact on the brain, and a second concussion occurring before recovery of the first results in prolonged symptoms that can have a significant impact on the child. Can more serious conditions appear like concussion? Although extremely rare in sport, a blow to the head (direct or indirect) may first appear to be concussion, when in reality there is something more serious going on; such as bleeding or swelling in or around the brain. Sometimes the symptoms of a more serious brain injury do not occur for several hours or days after the initial injury has taken place. If not recognised, these injuries can have very serious consequences. Because there is considerable variation in the initial effects of concussion, and spontaneous recovery is often rapid, this can increase the potential for players to ignore concussion symptoms at the time of injury or return to play before they’ve fully recovered. There are therefore concerns that repeated concussion – particularly before full recovery – could shorten a player’s career, significantly interfere with their academic performance, and may have some potential to result in permanent neurological impairment. who receives a blow to the head should be assessed for concussion. concerned, remove them from play and send them for assessment by a doctor. They may also need additional specialist medical assessment. of concussion symptoms and the management of a concussed player e.g. (more details regarding first aid cover are available at rfu.com/firstaid). Introducing Laura – In The OT Spotlight! Meera – In The OT Spotlight! Introducing Elaine – In the OT Spotlight! Introducing Anna – In the OT Spotlight! Our Kirsty: Finalist for Insurance Post Claims Awards! © 2016 Enable Therapy Services.